Sunday was a big race for so many of us. Even though none of us are attempting to break a 2 hour marathon, we're pushing our own limits every time we get out there on race day. For those of you who ran Broad Street Run, congratulations! For those who were there supporting on the sidelines, you helped more than you can even imagine. Thanks to all of you for making Philly an incredible running community. Stick around, there's a ton of races coming up this spring and summer and that means lots of changes to push your limits and hang out with the best people. This week we're doing things a little differently. We'll be splitting up (which is the saddest thing ever). One group will do the usual routine - 2, 4, or 6 mile runs that end at Pasqually's. The other group will head across the city to Morgan's Pier for the kickoff of the Mayor's Cup race. More info about the run and race below. You may be asking yourself why I am promoting an event that's happening at the same time as our weekly run. The answer is simple, I set a precedent last year when we ran to the Mayor's Cup Pep Rally that also took place during our run. What we'll do is (unfortunately) split up the group and whoever wants to run the 6 miles to Morgan's Pier can join one group that heads there, while the second group will run a nomral 2/4/6 set of routes and end up at Pasqually's. The Pep Rally is an opportunity to meet competing clubs and maaaaybe do a little (good-natured) trash-talking while enjoying brews and views of the Ben Franklin Bridge. Registration will open at the Pep Rally (on-site only) with a $5 discount and extended Happy Hour specials will be available. The first 50 people to register will claim a free beer! Clubs are encouraged to come at the conclusion of a Wednesday night run or organize a group run down to the Pep Rally to represent. Street clothes and coming straight-from-work is equally welcome. 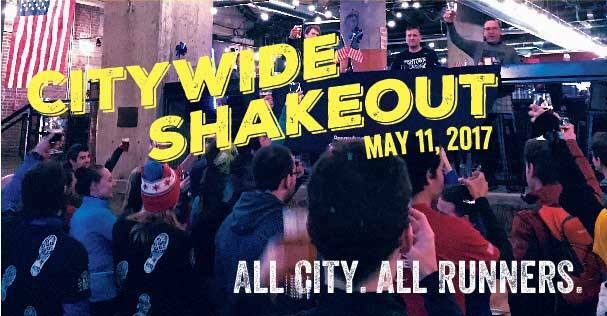 Philadelphia Runner, the ODDyssey Half Marathon and RUN215 present the first annual Citywide Shakeout run for ANY AND ALL runners in (or around) the city. 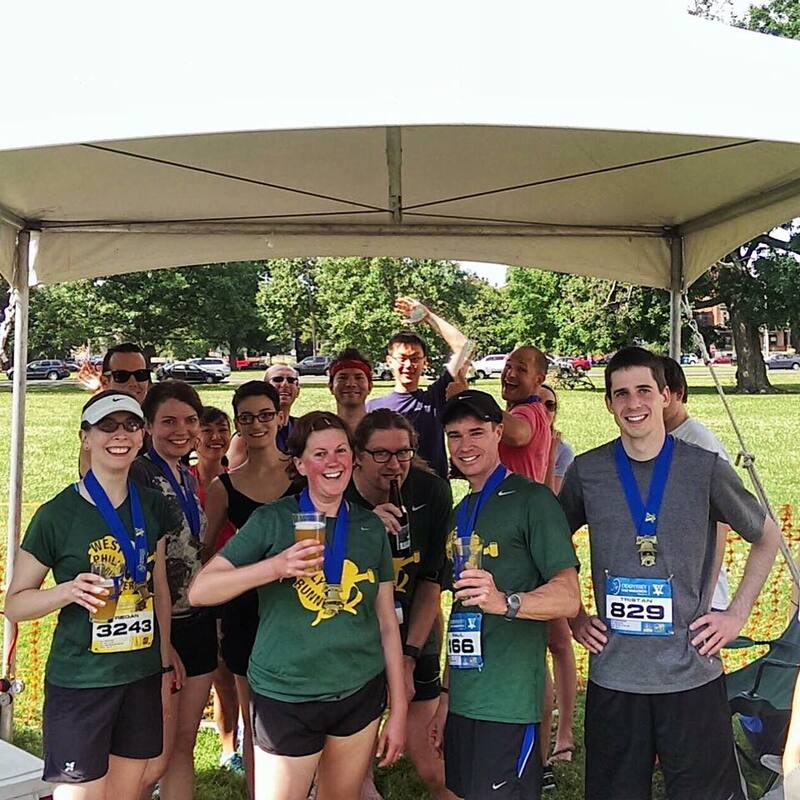 Join us on Thursday, May 11th for an all-Philly running event that celebrates the end of the Broad Street season and brings together the entire community for a few miles and beers. 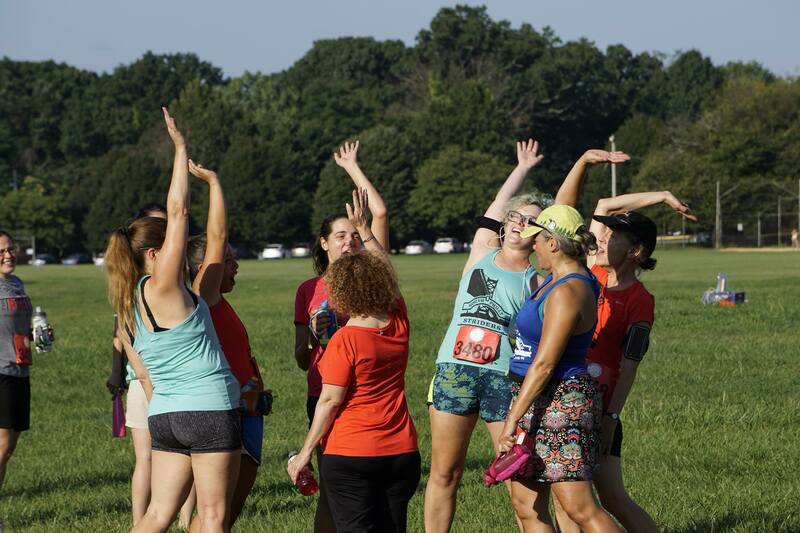 So far, over 15 clubs will be participating with group runs beginning all around the city and all end at the Flying Fish Crafthouse on 31st and Master in Brewerytown. We'll be leaving from our usual spot at 6:30pm at 45th and Locust, except it'll be a Thursday and we'll end up in Brewerytown with a bajillion runners. Should be a blast and I hope you make it out! Our very own annual race is back again and you won't want to miss it. Join the WPR team or start your own with friends. Each 13-person team runs two 1-mile laps to complete a team marathon. 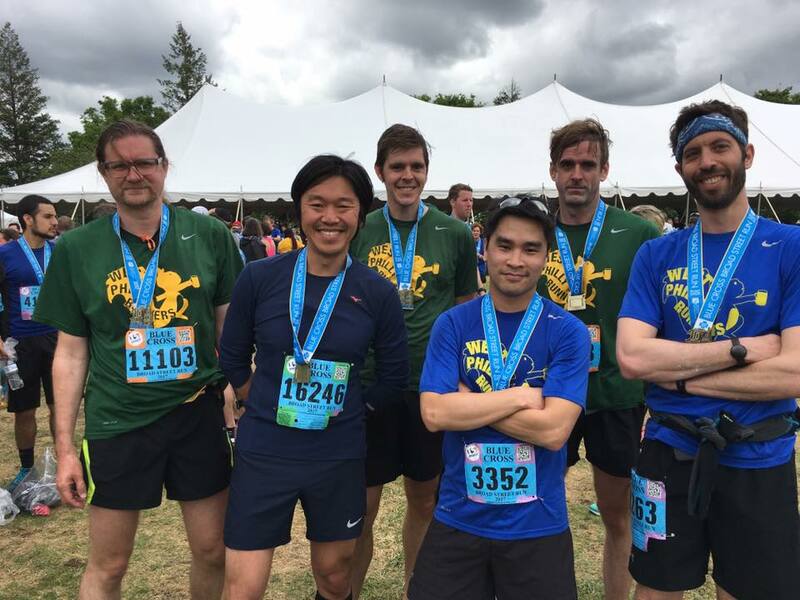 Teams can have fewer than 13 people and each runner does more than 2 laps. You'll need your own baton (ours is a pair of giant novelty scissors) and a torch for your team's final 0.2 mile victory stretch. During the race, it's a giant party since there's a bunch of down time while your teammates run their miles. All registration fees are being donated to The Woodlands, which is also the location for the race. 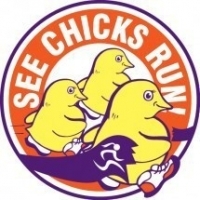 This 5k run/walk and 10K run is just for the ladies...and one rooster. Our beautiful out and back course along the Wissahickon is flat and fast and welcomes runners and walkers of all abilities. Youth runners are welcome! Everyone loves the ladies tech t-shirts from this race - don't miss out! Fellas - if you want to be only guy among all those chicks...take a chance in the Lucky Guy Lottery. The winner gets to be the Rooster and run the race. I would argue that the ODDyssey is Philly's best half marathon with a fun course and a costume contest. It's also a great chance for us to celebrate as a club. Once we get 20 people on our team, we're going to get a party tent and we're going to party. We want you in our tent! Join the team! More importantly, once we get 30 people, we'll earn a port-a-pot, which will be glorious! We have 14 people on our team so far!